The past few months I have had several people randomly stop me and give me a compliment. It has been so refreshing and a complete mood booster. 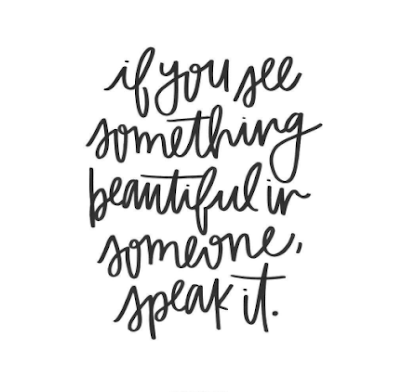 It was sweet to have someone notice something positive and take time out of their day to stop and say it. Do you ever withhold compliments? I will see someone, turn to Erik and say "Her (hair, shoes, shirt) is so cute!" And Erik will say "Well tell her." And I say "No! That's weird..."
I just make it weird. After having many compliments shared with me I want to spread the good feeling around. A good majority of those times I was completely lost in my own thoughts, feeling like a hot mess just trying to get something checked off of my to do list. Then I would feel a tap on my shoulder or see a wave out of the corner of my eye and have someone compliment me. It made me feel better as if maybe I wasn't such a hot mess? I want to be someone who can compliment people without a second thought. I have made it a goal to speak up. If I see someone and have an honest compliment cross my mind I am going to say it. Who doesn't love a good compliment now and then? 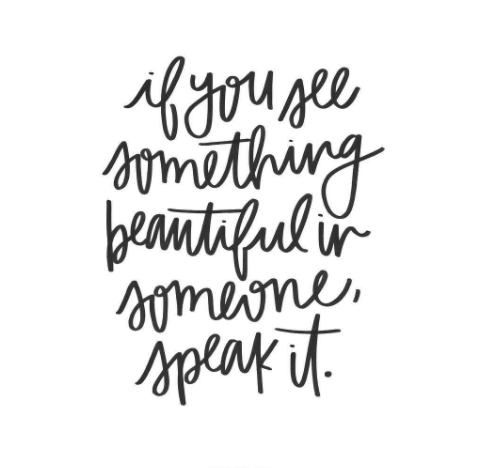 Is there a specific time you were complimented and it changed your day? Let's get some positive stories going.